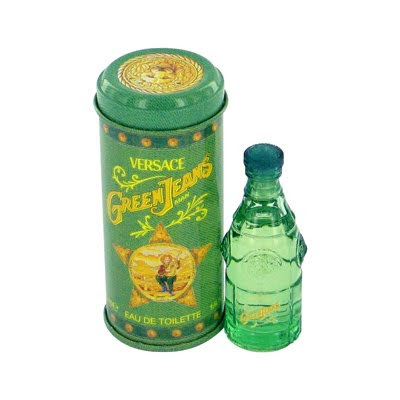 In conjunction with my BFF online, Mariuca's birthday, she's giving away this beautiful 7.5ml miniature bottle of Versace Green Jeans for men to ONE lucky winner!!! It's so easy. Blog about this contest at your blog and guess the number of perfumes she has in her collection! You have 3 guesses each and the person with the correct or the closest guess will WIN! Hurry up as this contest ends at 12am (Malaysia time) on August 29, 2009. So here are my guesses... 128, 129, 135. Hope I'm lucky enough! I can't wait to smell this masculine scent which possesses a blend of pine, oak, grapefruit, lemon, cedar and mint on Ralph! that sounds (and smells) really good, monica! hope you get to win! hmmm.. i guess mariuca has loads of perfumes on her closet. too difficult to guess. hehe. Recent blog:=- Is Your Man Good For Your Health? Ok decided to have coffee first, actually B went to buy dinner, not back yet! havent buka? =-O =-O why so late sweetie? LOL I agree, it’s easy to guess my bottles of perfumes, just take a visit to MPG and guess away ha ha! ohhhic u're waiting for B! Yeah lor, still having my coffee now Mon! Yeah I gave them chance while I slept the whole day, then woke up see still can’t receive email notification, so quickly mailed them and Igor fixed for me edi hahahaha! I love la my JS BF hohoohohohoho! Ok I buka now, see you later Mon!! hahaha so good lah yr JS BF fixed it for u!! Recent blog:=- Zappingly New Walkman B Series! Dat’s why la I was ROTFLMAO see u wrote Mau oso cause I know u oso LOL at ur end there Monica hahahahaha! huh? did u receive my comment @ woafs just now? Now I’m receiving ur comments but the earlier ones, I didn receive. Some more I wrote to igor again and right after, the comments came in aiyooooo poor igor hahahhahahhahhaha!!!!! Thanks for joining my perfume contest Monica, ur entry is listed here and good luck! How are you today? How is your headache? I hope much better!! those are very huge numbers of perfumes! Oh... it's so cute! I collect mini perfume bottles. Recent blog:=- Happy Birthday Mariuca! I have a winner! Doing my post now hohoho! I won I won.. lol!! i wonder how it smell like! !